Socialigence – Develop your social and emotional intelligence – Indore, India. Narayan Kothi, Janjeerwala Square, Race-Course Road, Indore. Organization Socialigence – Develop your social and emotional intelligence – Indore, India. Postal Address Narayan Kothi, Janjeerwala Square, Race-Course Road, Indore. Socialigence is unique venture offering courses and customized workshops for young students and professionals like recruiters, marketers, managers, teachers etc. to develop and integrate social & emotional intelligence. These courses help in building positive connections and better understanding with the others. Socialigence is immensely useful for personal and professional growth. Comprehensive courses help you to develop better social quotient and understanding with children, spouse, parents, social circle. & imbibe qualities like leadership, empathy, co operation etc. to succeed better. Socialigence offers well-researched and comprehensive online courses to develop skills that develop your social and emotional intelligence. We, at Socialigence, approach body language through domains of social intelligence and emotional intelligence. Our course on “reading faces for spotting emotions” is a uniquely designed online self-development course that is rooted in the researches in neuroscience and psychology. Socialigence course on “Detecting Deception” is a uniquely designed research-backed course that covers all the aspects of Lie Detection in details. Our courses help you observe nonverbal behavior to understand emotions and to detect deception. We offer well-researched and comprehensive online courses to develop skills that develop your 'Social and Emotional intelligence'. Skills that will help you succeed in life. Contact us at +91 722 398 4622 / [email protected] for more details. Also visit www.socialigence.net. Socialigence offers well-researched and comprehensive online courses to develop skills that develop your social and emotional intelligence. NIFT coaching centre – Design entrance exam coaching classes – Chennai and Hyderabad, India. 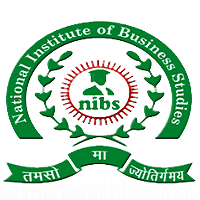 National Institute of Business Studies (NIBS) – Leading distance learning and engineering courses institute – New Delhi, India. RSG Classes – classes for actuarial, MA Eco entrance, Economics Hons, Stats Hons – New Delhi, India. ARCH College of Design & Business – Offers Top Quality Courses – Jaipur, India. 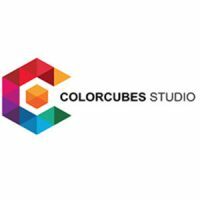 ColorCubes Studio – Best NATA coaching centre – Vellore, Chennai, India.